From one of our leading social and cultural historians comes a dazzling and original exploration of how, and why, we should still be reading the Bible, even if we no longer believe. 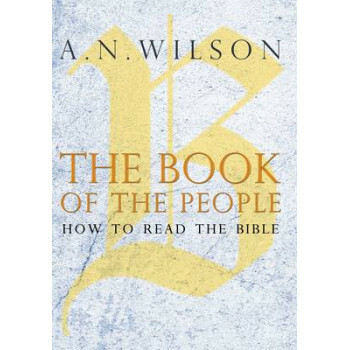 In The Book of the People, A. N. Wilson explores how readers and thinkers have approached the Bible over the centuries, and how it might be read today. Charting his own relationship with the Bible over a lifetime of writing, this is a deeply personal look at the author's faith and how it has shaped his life. Wilson believes that the Bible remains relevant even in a largely secular society, as a philosophical work, a work of literature and a cultural touchstone. Erudite, witty and accessible, The Book of the People seeks to recast the Good Book as a vital work for our collective imagination.